Through the Green Shoots programme, BASC works with the shooting community and its partners to promote conservation effort on shooting land and contribute to public conservation targets. ESDM were commissioned to create a website to support Green Shoots that serves to capture and manage the data generated from this programme securely. BASC members can map and describe their shooting areas; identify the species and habitat types that are found on them; and report on their shooting activity. There are also administration tools so club officers can enter data on behalf of their members. There are reporting tools for sharing data with the National Biodiversity Network and other national organisations. The website needed to be responsive to a wide range of device formats from phone to desktop. It also had to be fun and easy to use by non-experts. 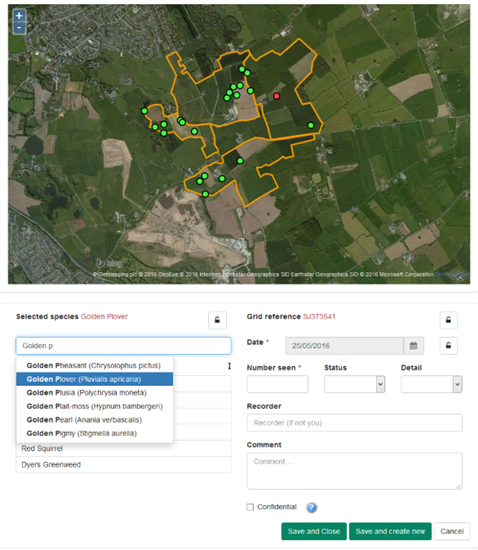 This provided a challenge because the data required by Green Shoots is relatively complex, consisting of shoot boundary geometries, points of interest, species records and shooting returns. We worked closely with BASC staff and members in an iterative design process so the website met these usability goals. At the same time, we ensured that the data is captured faithfully with plenty of feedback and validation to users at the point of data entry.